The Thames Towboat Company was incorporated in Norwich, Connecticut on December 29th, 1865 by Edward Chappell and others. The company operated in the Thames River and New London Harbor Towing for a number of years with two or three small tug boats. On February 28th, 1879, the business was transferred to New London Harbor Towing. The controlling interest was acquired by Frank H. Chappell and other individuals. 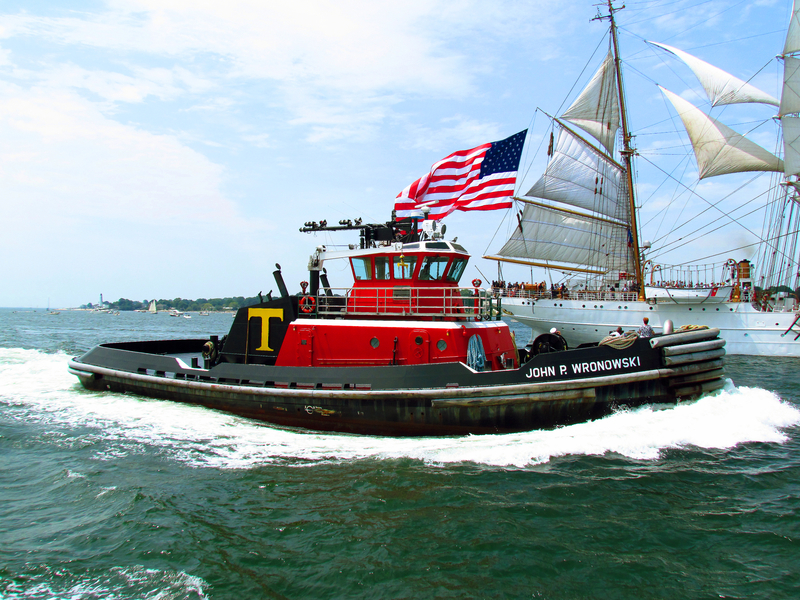 The business eventually expanded, larger barges and larger tugs were built and acquired, as Thames Tow Boat sought to engage in towing and transportation business operations on Long Island Sound and New York waters. The company soon began endeavors into ocean towing, and transportation. When the Thames Towboat Company began transporting coal from Norfolk, Virginia to points east as far as Bangor, Maine. With the the company's own barges, that were towed by the company's own tug boats. In 1900, the fleet of tugs, and barges grew to a size that it was necessary to effect repairs. The company considered it expedient to have a shipyard of its own. A site on the Thames River was selected for the plant. The plant had to be large enough to accommodate all of its own work and any outside work that came along. As, as to make the shipyard a paying proposition. A number of the barges, and tugs that the company owned were built on Winthrop Point in New London, Connecticut. When the company having established its own yard. The John Forsyth, a five masted schooner, that could also operate as a barge. And, the tugs Paul Jones, and Bess were constructed. The tug Paul Jones, at that time was the largest steam tug on the Atlantic seaboard. In 1967, the company was acquired by the Wronowski Family of Montville, Connecticut. 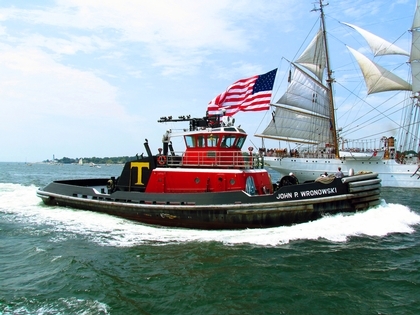 The Thames Towboat Company is still a provider of ship assist, and towing services on the Thames River and in New London Harbor in New London, Connecticut. As well as Long Island Sound, Block Island Sound, and the waters of Narragansett Bay.